How to Prepare Mathematics Optional? 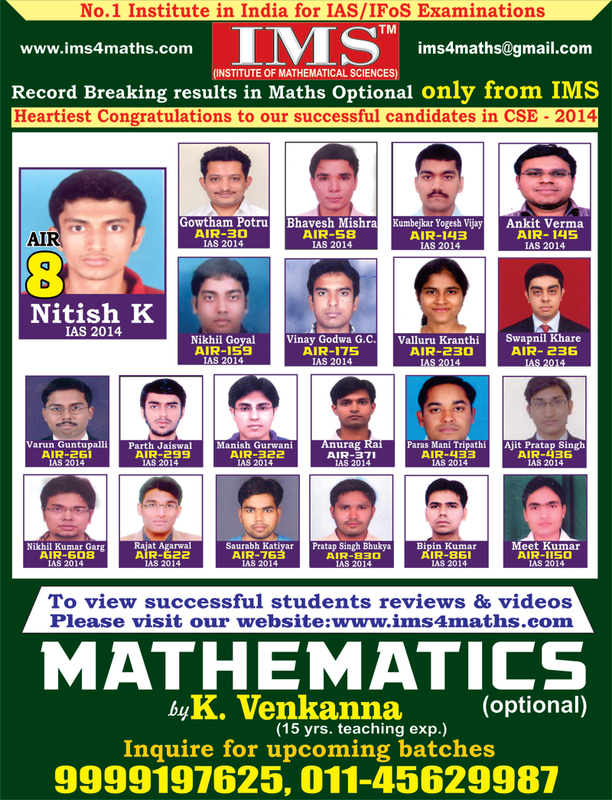 Record Breaking Results in IAS Mathematics Optional only from IMS (Institute of Mathematical Sciences). Our Heartiest Congratulations to all the Successful Candidates. Download Previous years question papers segment-wise.